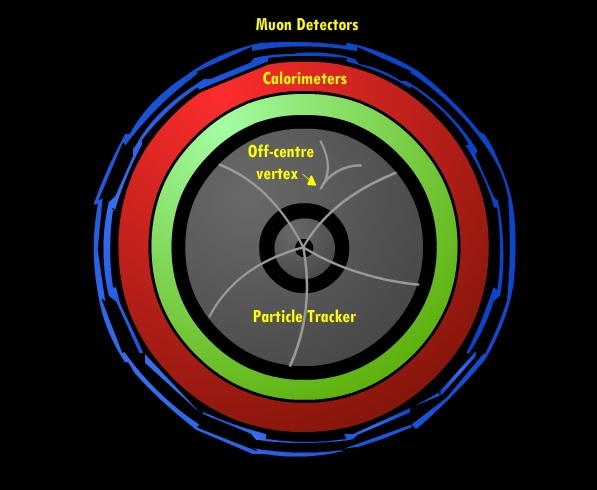 ATLAS: How do particle detectors work? 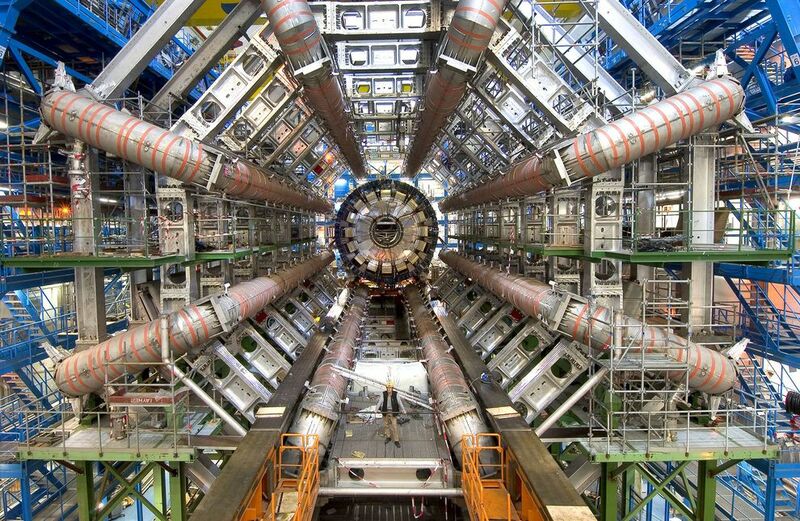 The Large Hadron Collider (LHC) is a truly sophisticated machine; weighing in a 37,000 tonnes and residing in a 27km long tunnel it is the most sophisticated machine ever built. With over 9,500 magnets super-cooled to a temperature of 1.9K (-271.3◦C, colder than space! ), the LHC can accelerate two beams of protons to 99.999999% the speed of light, before smashing them together inside four giant particle detectors. In doing so, it can recreate the conditions that were present less than a billionth of a second after the Big Bang. ATLAS at the LHC – an incredible feat of engineering! ATLAS is one of those particle detectors, and was one of two experiments to discover the Higgs boson in 2012. It is over 46m long, 25m in diameter, weighs over 7,000 tonnes and contains around 3,000km of cable. Over 3,000 physicists from over 175 different institutions in 38 different countries work together on the project. Following the Higgs discovery, ATLAS is working on learning more about the properties of this new particle, as well as looking to discover new exciting physics (such as extra dimensions and dark matter candidates). When two beams of particles collide at extremely high energies, new particles of matter can be created from that energy. This is possible because of Einstein’s famous equation, E=mc^2, which tells us that mass(m) and energy(E) are actually the same thing. These events take place inside machines called particle detectors, sending showers of particles in all different directions. As charged particles move outwards, they allow electrons to move in atoms of silicon or strip electrons from gas atoms (the gas used is Xenon). By detecting these signals in the particle tracker and joining them up, a picture of the path the charged particle took can be built up. These paths are curved because the detector is immersed in a strong magnetic field, how curved they are tells us the momentum (related to their speed) of the particles. Outside the tracker are the calorimeters, which are designed to absorb the charged and neutral particles so we can measure their energy. With this information, we can work backwards and find out the properties of the particles produced in the collision. If we see an off-centre vertex, it tells us that an uncharged particle (which is invisible to the tracker) has decayed into charged particles, which could be a sign of an exotic Higgs decay! it would be very interesting to me to have a demo on a particular experiment in which you might explain which tracks are what and tell us how they decayed.